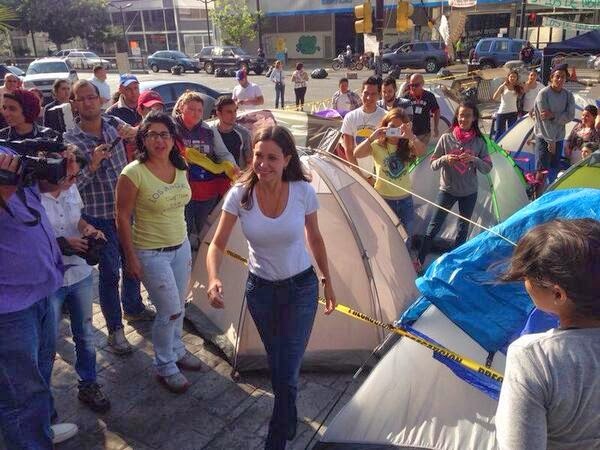 @MariaCorinaYA Here I send you my article today in @ElUniversal "Resign"
Maria Corina: "Direct from airport, join students protesting in tents in front of UN in Ccs!" I leave the Congress of Brazil, emotionally moved for exercising the duty and the honor of speaking as a member, on behalf of all Venezuelans. It coincided with a tribute to parliamentarians that 50 years ago were expelled by the dictatorship from the Congress, accused of "treason to the nation for criticizing their country abroad ." This could have influenced the enthusiasm with which the deputies, standing, shouted: "Venezuela", "democracy", "brave" and "freedom" as I withdraw from the plenary. The operation of the regime to prevent the world knowing about their cruel violations of human rights, popular sovereignty and freedom of expression, has been costly and useless. Parliaments, newspapers and homes from every continent call the Venezuelan regime for what it is: a dictatorship. Until two months ago, the regime led to believe that we had resigned ourselves. Venezuela awoke. The Cuban orders to suppress every "little candle " with the fury of paramilitary criminal gangs, PNB (The Bolivarian National Police) and the GNB (Bolivarian National Guard) provoked more outrage and energy for the deepest and most widespread civic movement in our history. The regime crossed a red line and now for foreign actors, indifference is complicity. A people is in the street, decided to advance irreversibly and without delay in the transition to democracy. A country that demands a change, not just of policy or rulers, but in the values, ​​in the model of society, and that are determined to do so through democratic means under the Constitution. For them we won't accept a new deception with a call for dialogue that seeks to demobilize protests or give the semblance of legitimacy. As for the public powers, we declined the offer of cosmetic quotas. Imposing a total restructuring of the CNE , the Attorney General, the Ombudsman and the Comptroller, just for starters. Two years ago , in a public letter to Fidel Castro, I told him, "Cmdr Castro, stop interfering in the internal affairs of Venezuela. Do it willingly or the democratic forces in Venezuela will make him understand as was done 50 years ago" The Castros already understood that Venezuelans will fight to win democracy, national sovereignty and freedom. As a member of the National Assembly and citizen, I say, Mr. Maduro: the time has arrived for you also to understand: Resign. 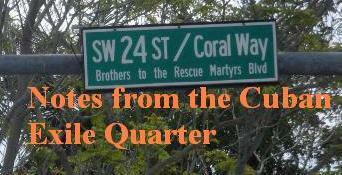 Tempest in a Teapot: "Cuban Twitter"